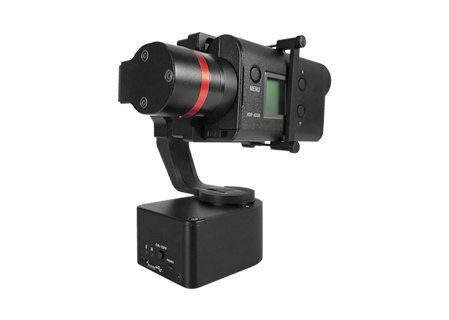 Stabler and More Featured 3-axis Auto-stabilising Gimbal for Actioncam. With a standard ¼ “ threaded hole and Standard Gopro Mount Adaptor at the bottom, GV3 is compatible with various photographic add-ons which allows for easier mounting on different applications such as vehicles, bicycles or helmets etc. GV3 is mainly developed for sporty applications. It is compact and super light, good for all portable and wearable application activities. Built with stabilizing technology for aerial filming, GV3 helps the energetic you take perfectly smooth cinematic videos in vibrant activities in a simple and easy way. 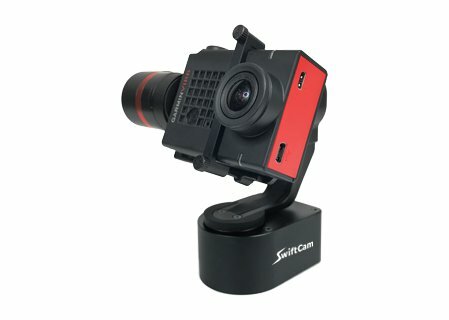 Its higher flexibility allows to support different sizes of action cameras. 3-axis stabilizing technology make perfect your dynamic videos by taking vibrant yet smoothly floating shots while you are running, jumping, or even skateboarding! 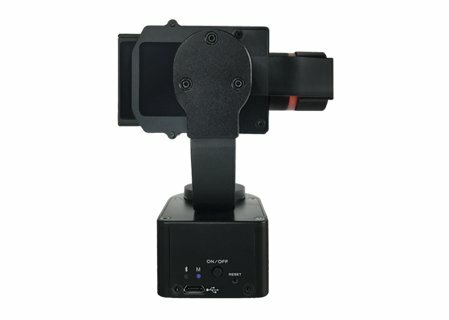 Full Follow, Follow Pan and Full Lock are three standard SwiftCam stabilizer operating modes which can easily be switched by press the button on the machine or through the Smartphone APP. 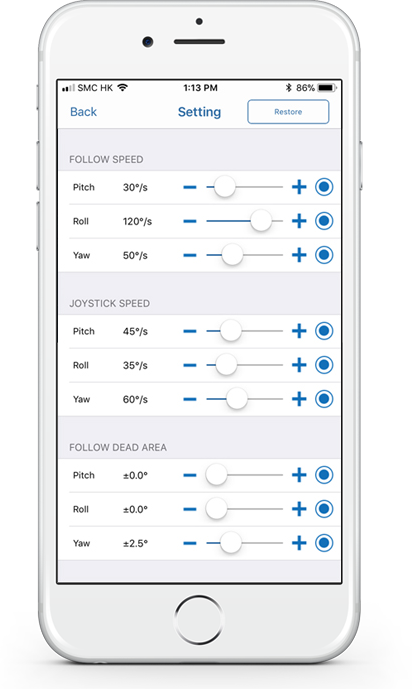 Furthermore, an unique Rolling mode is also available in GV3. 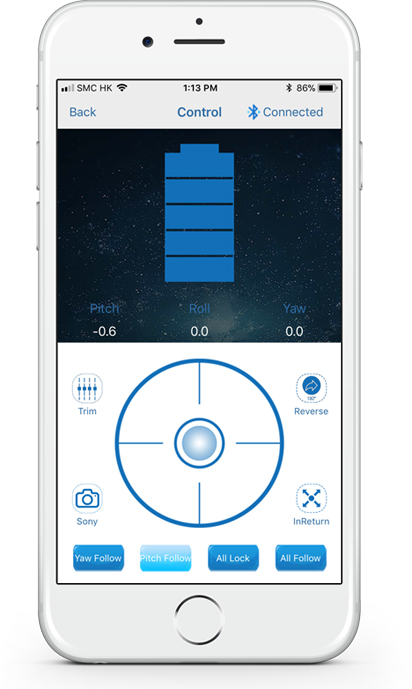 Exciting smooth videos can be recorded with Rolling mode. GV3 is capable for almost all standard action cameras with max. 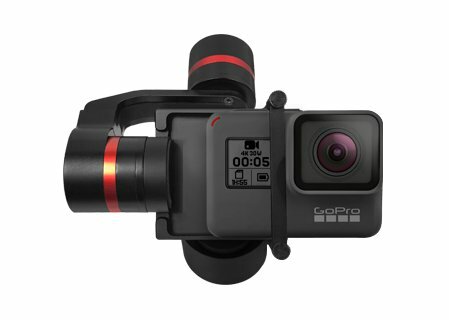 width 25mm, including GoPro Hero 6/5/4/3, Sony, GARMIN VIRB, YI CAM, SJCAM, AEE camera. With the “screen blockless” mounting design, it provides maximum angle of view of action camera display monitor. 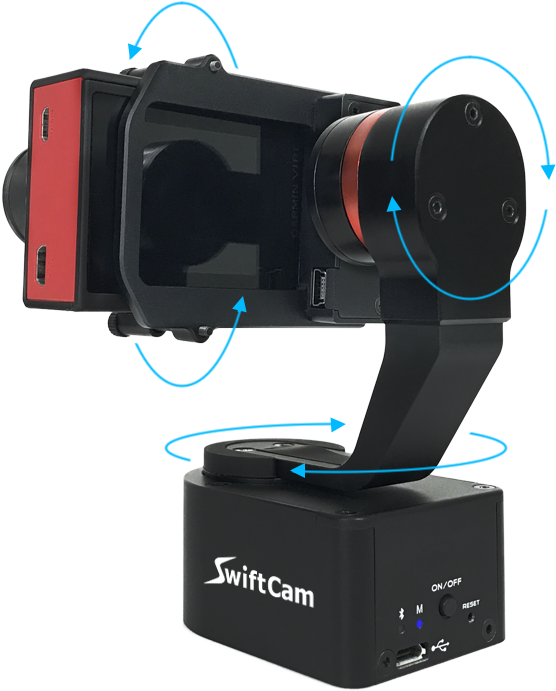 The SwiftCam Camera IOS and Android APP allows convenient setup of all system configurations. 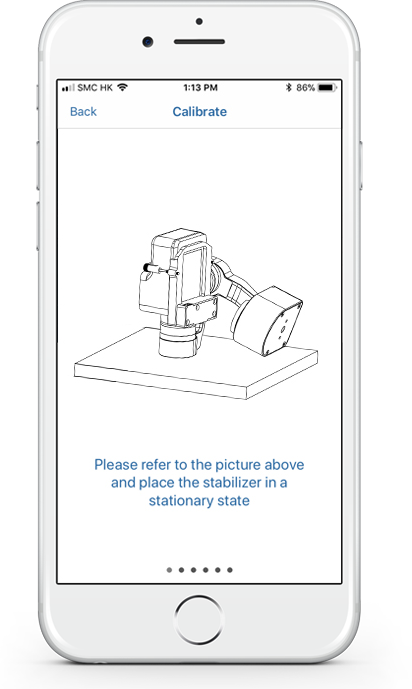 Useful functions can be found in the APP including instant battery level display, APP joystick controller, Tilt Roll subtrim, very mode selection, system speed adjustments and advanced system calibration. Due to the limitation of the output current, GV3 Power Outlet Port can support charging for Gopro Hero Action Cameras only at the moment.